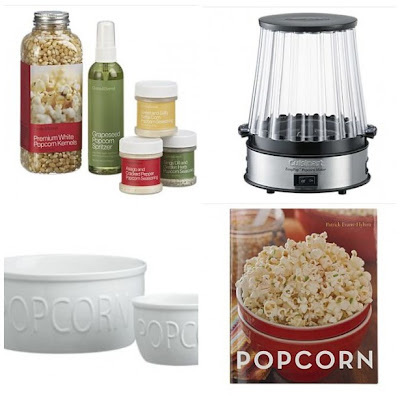 I think a popcorn gift basket would be an ideal Christmas gift. Don't you? Maybe I am just a freak for popcorn. One year I bought Travis a real popcorn machine for his birthday. It looks just like this. Anyways I think most people would love a popcorn gift basket. Here are a few things you could include in the basket. I'm a popcorn freak. That would make a great present.